2. Gelato. Sorbet. Milk shakes. You get the idea. 3. Going to the movies. #3 is what I’m gonna focus on. I should have been a film critic because I love movies so damned much and am so damned critical of them. It’s an exciting time of year because the summer blockbusters and throwaway films have nearly subsided and there are some fantastic films out now in theaters and on the horizon. Let’s discuss some of my recent faves and those I can’t wait to get my eyeballs on. I’m not normally one for a kung fu movie, but I mean, Wong Kar Wai. Do I need to say anything else? The Chinese director of In the Mood For Love (one of my all-time best wardrobe flicks) and Chungking Express releases his first feature since the very mehhhh My Blueberry Nights. 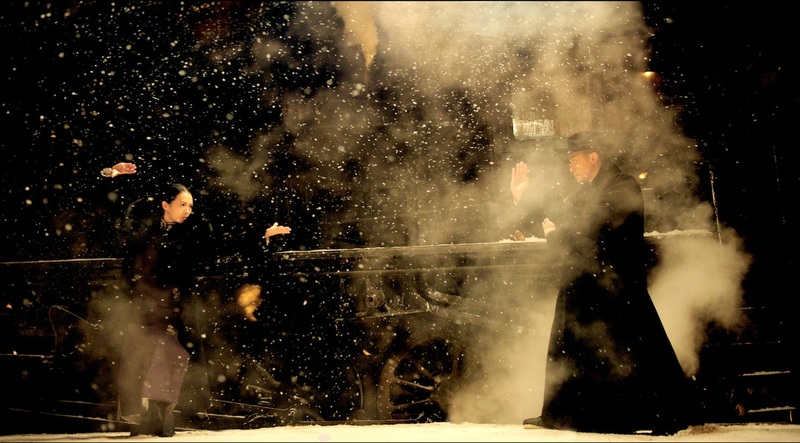 The Grandmaster tells the story of Ip Man, the martial artist who mentored Bruce Lee. The American release of this film is also the director’s third cut so far, in this case made significantly shorter. Regardless of the length or changes from its original, I can say firsthand that this film has the stunning cinematography and romantic subtleties that are the director’s trademark when he’s at his best. Probably the best movie I’ve seen in months. Brie Larson, in all her “real girl” naturalism, gives a subtle but emotionally driven performance. Everything about this movie is great: casting of fresh faces and exceptional talent, beautiful camera work, raw and real subject matter, and clever storytelling. Go see it like…now. This documentary examines how the alleged mistreatment of whales (and other marine life) at Sea World may have led to the death of one of their best trainers. Animal lovers (myself included) beware! The trailer has fully hooked me. Yes, it looks mildly cheesy but any Brian De Palma flick (Scarface, The Untouchables, Carrie) is at least guaranteed to be entertaining, dramatic, and stylish to watch. Passion is the remake of a relatively contemporary French film which gives it another check mark in my “Reasons To See” box.